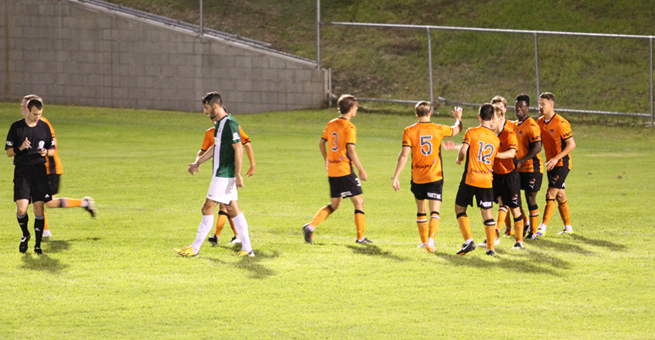 Five goals and a dominant team performance has given Brisbane Roar a resounding 5-1 win over Northern Fury FC tonight at Perry Park in Brisbane. A first half double to Jai Ingham put the home side in the box seat before Patrick Theodore bagged a brace after the break alongside captain Ben Litfin’s strike. Roar goalkeeper Fraser Chalmers pulled off an important first half save from Corey Waples’ penalty with the score still at 1-0 before Braedyn Crowley scored the lone goal for the Fury in the second stanza. Brisbane were strong from the outset and Ingham opened the scoring after just 10 minutes, striking a powerful shot from outside the box that just crept under the Northern Fury crossbar. Down the other end, Chalmers was adjudged to have fouled Crowley inside the penalty area, resulting in referee Adan Gehrig awarding a spot kick to the visitors in the 20th minute. Chalmers redeemed himself between the posts and denied Waples from the penalty spot with a diving save to his left. The match delivered chances at both ends and Chalmers’ save proved crucial when his side were given the chance to extend their lead in the 36th minute as Litfin was taken down inside the area at the opposite end of Perry Park. Ingham coolly converted from the penalty spot to give the home side a two goal buffer heading into the break. Theodore scored his first of the night in the 59th minute when he was picked out by Kofi Danning inside the box before Litfin made the most of a poor clearance from Fury custodian Dylan Hudson sixty seconds later to seal the win. The north Queenslanders pulled one back as Crowley tapped the ball home soon after but Roar soon reinstated their four goal margin in the 77th minute. Brisbane’s diminutive striker Theodore headed home from inside the six yard box as the Fury defence failed to deal with an Ingham free kick. 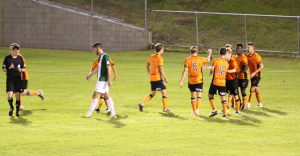 The result was the Roar’s second win of the 2014 National Premier Leagues Queensland campaign and their first since their 8-1 rout of FNQ Heat in early March.